A criminal probe has been opened to find those at fault, on orders from a judge in the city of Caleta Olivia, a port in Patagonia where maritime cases are usually heard. 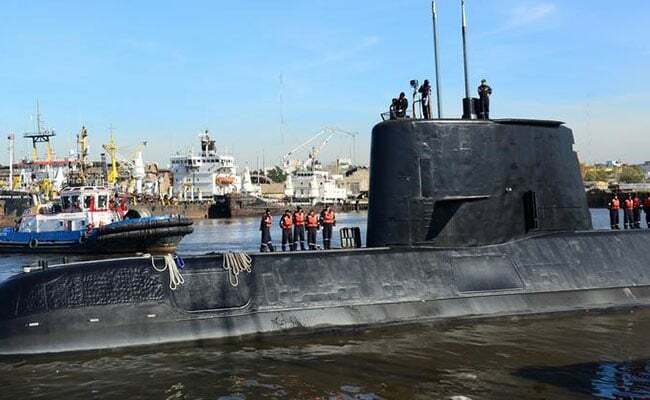 Buenos Aires, Argentina: Argentina dismissed its naval chief on Saturday, the most high-profile officer to be fired a month after a submarine went missing with 44 crew members on board. "The defense minister asked him to retire. It's a political decision," a navy officer told AFP on condition of anonymity about the decision to remove Admiral Marcelo Srur during an ongoing investigation into the sub's disappearance. Srur is the fifth senior officer to have been relieved of his functions so far over the ARA San Juan's disappearance. Military sources say President Mauricio Macri is willing to retire most of the naval leadership. The government is also creating an internal investigative commission that will be headed by retired captain Jorge Bergallo, father of the ARA San Juan's second commander, Jorge Ignacio Bergallo, government sources told state news agency Telam. An international search operation has so far failed to locate the vessel. The 43 men and one woman who were aboard are believed to have died in the tragedy. But families of the missing have pressed the government to continue the search, which has not yet been officially closed. Some relatives claim the navy has been hiding information, and have called for a parliamentary investigation. On Friday, they protested in Mar del Plata, where the submarine was based, and Buenos Aires. Relatives have focused their anger on the condition of the three-decade-old sub, which had undergone a seven-year refit to extend its service, and the navy's guardedness since the start of the search operation. 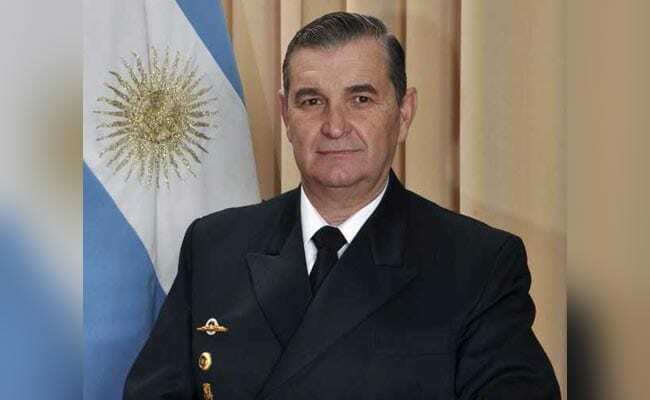 Admiral Marcelo Srur is the fifth senior officer to have been relieved of his functions so far over the ARA San Juan's disappearance. The navy has a poor reputation in Argentina. During the 1976-1983 military dictatorship, some navy units served as detention and torture centers, and an estimated 30,000 people disappeared. The loss of the San Juan is the first major tragedy to hit the navy since the Falklands War in 1982. Argentina, which refers to the islands as Las Malvinas, lost the war to Britain. The navy has been fiercely criticized for its handling of the operation since first reporting the submarine overdue at Mar del Plata on November 16. It was only several days into the tragedy that navy officials acknowledged the San Juan had reported a problem with its batteries in its final communication on November 15. And nearly 10 days later, the navy confirmed there had been an explosion on board, which experts said was likely linked to the battery problem. A British oceanographic vessel and an Argentine one were exploring the ARA San Juan search area with sonar equipment on Saturday, the navy said, while warning of "very adverse weather conditions" expected this weekend. At the peak of search operations, more than a dozen countries provided military assets, oceanographic vessels and planes. The ARA San Juan is one of the South American country's three submarines, but only one of them, the ARA Salta, is operational. The ARA Santa Cruz was removed from service for having serious failures that require a complete overhaul. Depths plummet from 200 meters (650 feet) to more than 3,000 meters on the edge of the Argentine shelf. Experts say the sub would begin to break up once it drops below about 600 meters due to the water pressure.